Time’s so tight these days (putting my boys through college and working on Respect Network) that I only have time to blog about the really special movies. I love Steve Carell, especially in sharp character roles like the one he played in Crazy Stupid Love. Ditto for Toni Collette, if not more so—Little Miss Sunshine is still my all-time favorite comedy. It was the only movie playing at our favorite local theatre that wasn’t all comic book heros and explosions. 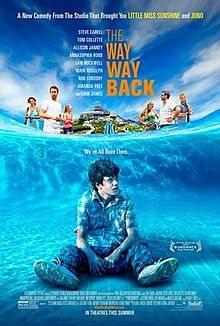 What I didn’t realized is that it was written and directed by two of the three writers who earned an Academy Award for their adaptation of The Descendants. Or that they act in the film too (you’ll never guess who they are). While it covers familiar coming-of-age territory, scene after scene had a sharpness and surety of tone that quickly won me over. And rather than land you in a closing shower of syrup, it twists into one of the most satisfying endings I’ve seen in years—one that drew an unexpected tear and made me want to give it a standing ovation even in a nearly empty theatre. And one more thing: they nailed the soundtrack. I’m not big on buying music but I just bought the album. I hope it keeps the film with me for a way, way long time. This entry was posted in Movies and tagged steve carell, toni collette. Bookmark the permalink.